Let us help you go green. Innovative Organics Recycling provides services to communities, institutions, food processors, restaurants, schools, retail stores, and other commercial facilities that want to “go green” by reducing or eliminating the organic waste stream they generate and send to the landfill. We consider your food scraps a valuable resource that we can use to make into compost! Your success is our success. That's why we offer a generous service package to your commercial facility that helps you reduce waste, save money, & sets you up for success. Innovative Organics Recycling will conduct a free, two-week waste audit to assess your facility's needs. Once we perform the audit, we'll give you an estimate of the number and size of the containers we should use in your facility, the frequency of pick-ups, and other details. We also review your current waste removal bill and services. 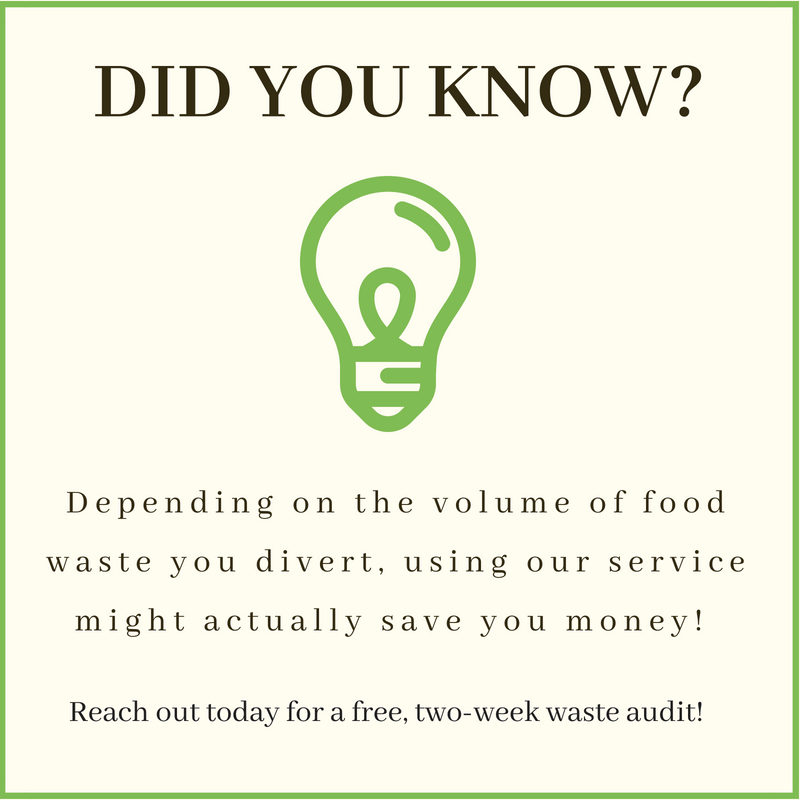 For organizations whose food waste is a high percentage of their total waste stream, recycling the food waste portion may actually result in reducing the monthly cost of what's left - your "real trash", saving you money. We provide all the equipment - from 5 gallon buckets, to 45 gallon two wheeled totes, to 30 yard roll off boxes - depending on your facility's needs. Always clean and always in good working order. To kick off the free two week audit, one of our trained staff will conduct a brief 10 minute training session at your facility to review with your staff what does and does not get diverted, the location of equipment and the agreed upon day(s) of pick up. Our training posters are offered in both English & Spanish. We'll work with you to find a regular pick-up time that best suites your needs. Pick-up days and times can always be adjusted when needed. We'll email you a monthly invoice with no hidden fees, extra charges, or unexpected costs. If we need to add additional charges for lost/damaged containers or extra pick-ups, we'll always get your approval first. Once you start the program, our outreach experts are happy to promote your participation in our program through social media posts, press releases, and other endorsements. We love to show off our Composting Champions! 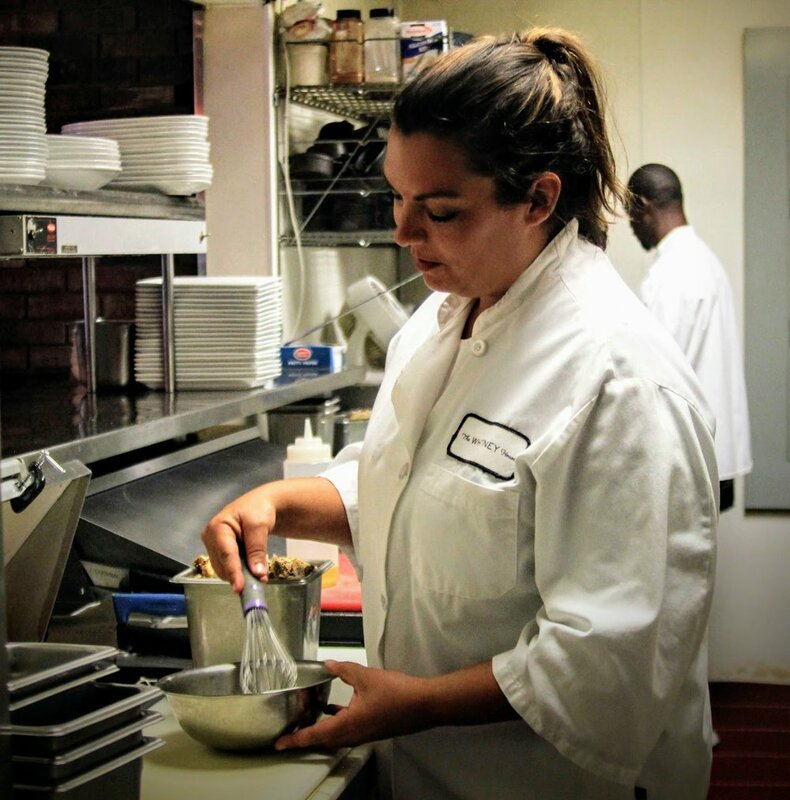 Our long term mission is to make Columbus America's # 1 city for food waste recycling. That's why, when you refer us to other local businesses, you can earn free months of service. Thanks for your inquiry! We’ll contact you shortly about when is best to begin your free two-week audit. Still have questions about commercial composting? Contact Us!